First, let me declare an interest: I’m a bloke. And blokes like tractors, which is why a couple of weeks ago I could be found with a soppy grin on my face walking around a display of vintage tractors and steam engines at the Weald of Kent Ploughing Match. Ploughing matches and point-to-point racing are some of the countryside’s best-kept secrets, and for a townie like me a terrific day out getting immersed in tweed and dogs. We took a basic picnic and at the show bought St Michael’s Blue cheese from Silcocks Farm, pickled walnuts and cider to eat later in the stubble. It was the end of the short hop-picking season and among the trade stands (more, bigger, tractors!) 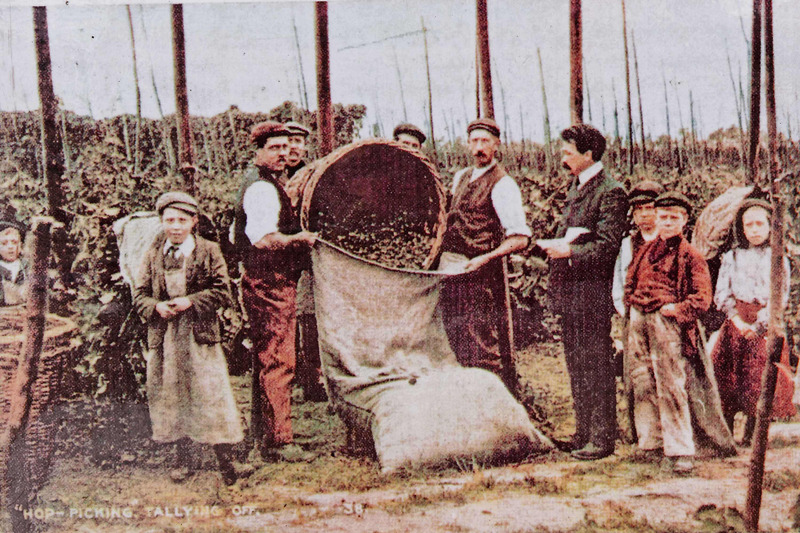 there was a display of old farming photographs, some showing hop picking in the days when tens of thousands of Londoners, including children that should have been in school, would descend on the hop gardens for a working holiday staying in corrugated iron huts and picking hops. 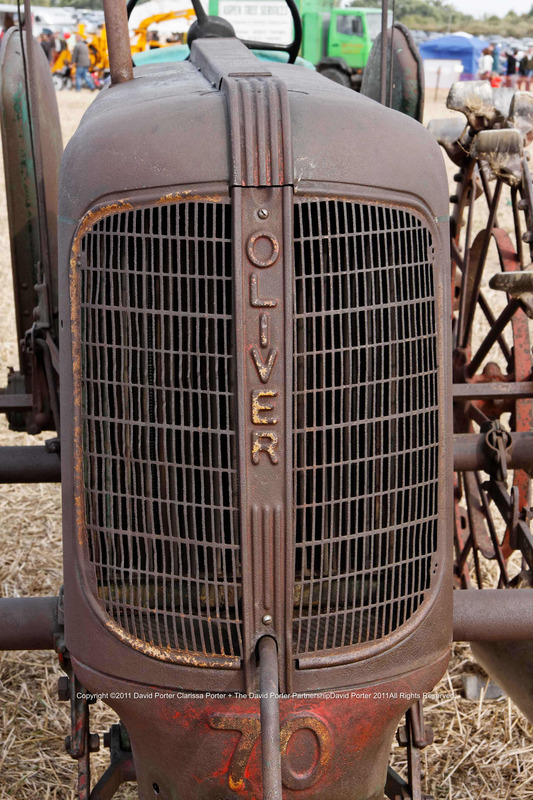 By the 1950’s hop picking was becoming mechanised, and the annual migration from London gradually died out. But its not all tractors doing the ploughing, pairs of heavy horses were stoically pulling especially polished ploughs; and for £5 you could have a go at driving horses and plough whilst trying to carve a straight furrow. The tractor match is judged depending on the type of plough, and points are scored for well-cut and straight furrows, uniformity, firmness, accuracy and the curiously-named ‘ins and outs’. Points are deducted for finishing the wrong way and leaving double wheel marks. 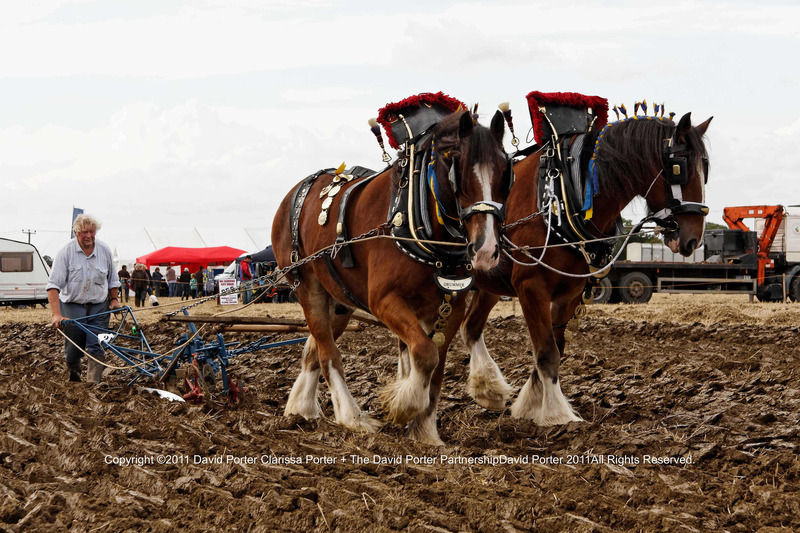 The rules of horse ploughing are even stricter but the winner can look forward to the first prize of £12! 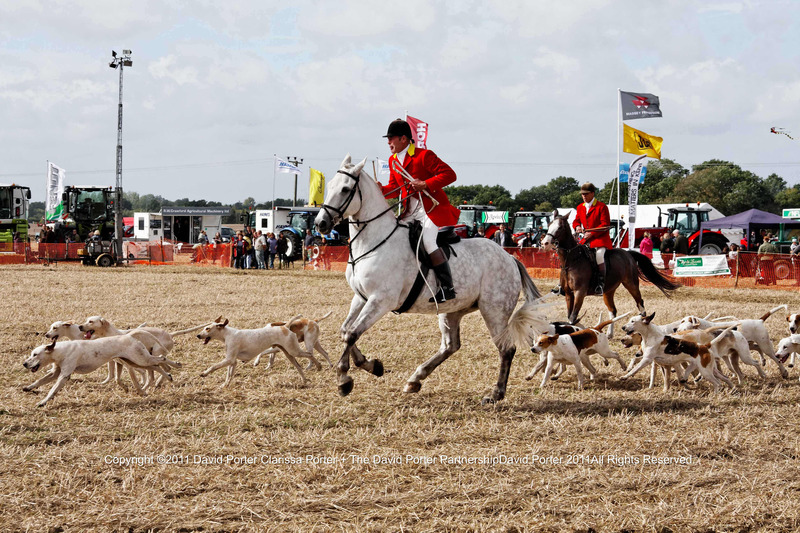 The Bolebrook Beagles trotted around the arena in a disorganised fashion, and later a pack of foxhounds from the Ashford Valley Hunt ran around following the huntsman and two whippers-in, before the ritual invitation for children to come into the arena and meet the dogs. I realise hunting is controversial, and the commentator repeated several times that the hunt operated within the law, but obviously no one at this show was offended in any way and the ring soon filled with children. Contrary to what you might think a foxhound is not an aggressive blood-thirsty animal but is extremely friendly, unlike some of the dogs in my local park. To be surrounded by twenty foxhounds licking and wagging is a happy experience, but then I’m not a fox. Three years ago I took a friend to the East Kent Ploughing Match. As a confirmed Guardianista he saw foxes as the cuddly animals he fed in his back garden. Farmers, he thought, were all rich and right-wing, sponging subsidies from the rest of us and driving around in 4x4s. They’re just ordinary people I told him they just get muddier, and they work longer hours seven days a week, putting up with endless inspections from government officials and spending their evenings filling in the mountain of forms demanded by the EU. He couldn’t bring himself to stroke a foxhound but he grudgingly admitted he’d enjoyed himself, apart from the extortionate price of the venison burger (£3-50), and remarked that everyone had been very nice and polite, and he’d not heard a four-letter word all day. I bought him a “Support British Farmers” mug which once he was back at home went straight to the back of the cupboard and was never seen again. Every year they hold ‘Wadd Fest’ a music festival on the farm in aid of Demelza childrens’ hospice. I was really impressed with Nicky’s larder, stuffed with homemade wine, beer and preserves; each year Nicky makes over 30 bottles of wine, mostly from over-ripe fruit. 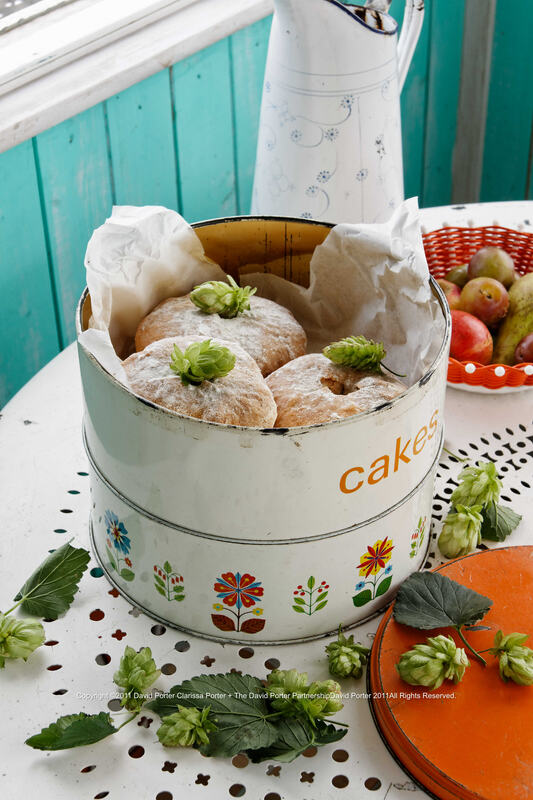 “It’s important not to waste any fruit,” she said, “and it’s so simple to do.” It was Nicky that told me about ‘Farmhouse Fare‘, a collection of recipes from the readers of Farmers Weekly. I went home and ordered it on Amazon, it’s a simple, easy to use and unpretentious collection of recipes and one of my all-time favourite cookbooks. 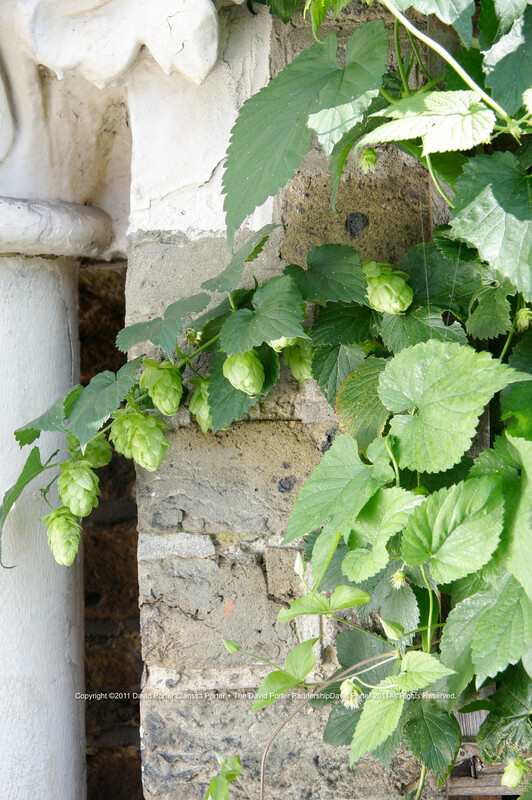 We’ve a hop growing around our front door, and a nearby pub has hops growing in its garden, if you look around carefully there are wild hops growing here and there. The Hop Shop at Castle Farm in Shoreham near Sevenoaks sells hop plants, that’s where we bought ours, and if you’re feeling ambitious they sell old hop poles and wonderfully enormous balls of thick rough hop string that wouldn’t look out of place in The Conran Shop. Castle Farm is an old hop garden, now more well known for the lavender fields than the hops. 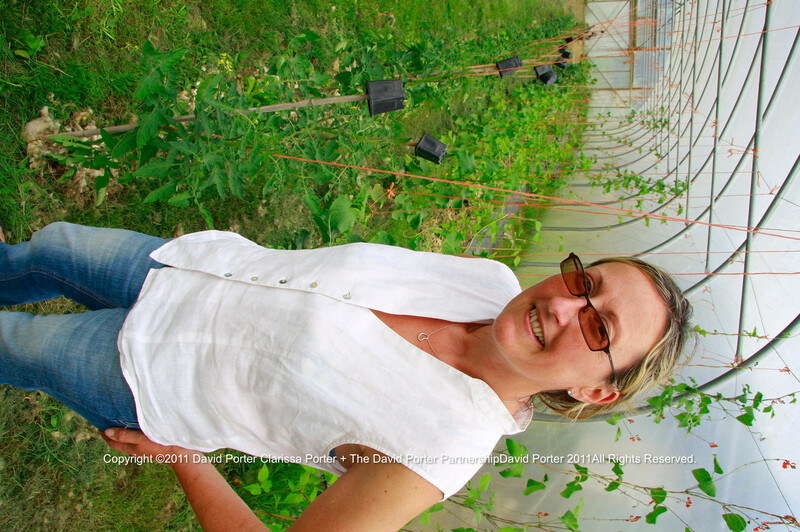 When the price of hops collapsed as brewers turned to cheaper imports, Caroline (above) and William Alexander diversified into lavender, herbs and rare apples, and their son Thomas Alexander is a talented photographer. 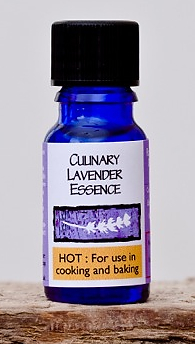 Caroline developed a lavender oil just for cooking, something we use in cake-making and always have at home. Castle Farm is local enough for me, just 14 miles down the road, and the farm shop is always worth a visit. I came across an interesting blog about making beer using hops from Castle Farm, you need surprisingly few and Castle Farm sell hop bines, the complete stems with hops attached, during the season. Next to Nicky’s beer tent was the hog roast, offering roasted pork in huffkins. The queue was too long for me, but huffkins are worth making at home. The huffkin is a traditional Kentish teacake, unique in that the baker made dent in the top with his thumb, and they have a slight beer flavour. Some Kent bakers still make them, but they are becoming quite rare. 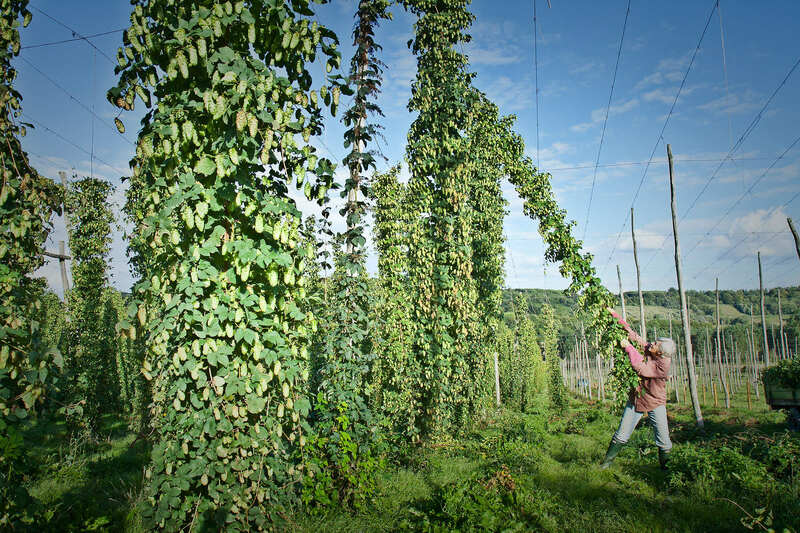 We only make them a few times a year, and at this time of the year Clarissa likes to push a green hop into the dent in the huffkin to add to the flavour. Preparation time about 1 hour 45 minutes including the resting times. Cooking time 20 – 30 minutes depending on the size of the individual huffkins. 225ml scalded milk. That is milk that has been heated till it almost boils. This disables some proteins that would stop the yeast from properly fermenting. Activate the dried yeast in a little warm water with a pinch of sugar added. When it froths it is ready. Cream the lard, salt, a pinch of sugar, add the yeast and then the sifted flour, making a dough. On a floured surface knead the dough till it feels ‘springy’ to the touch. Then put the dough to one side in a bowl covered with a clean dry tea towel. Leave the bowl of dough to rise in a warm dry place for about 1 hour. Then roll out the dough again so it is about 15mm thick and use a knife to cut-out oval shapes about 85mm across the length (the traditional shape), or larger circular shapes if you wish. Some bakers make larger huffkins. Put your pieces of dough onto a greased baking sheet, well-spaced, and cover with some damp muslin, then leave to rise for further 30 minutes. Pre-heat your oven to 220C. After they’ve risen, using your thumb make a large dent in the middle of each huffkin. Dust them lightly with a little flour then put them into your oven. How long you bake them for depends on how big they are, but remember they are soft crusted, so don’t over do it! When they are cooked, remove them to a wire rack to cool, covered with a dampened tea towel to prevent the crust from hardening. Finally dust with a little flour. The dent will have almost disappeared, Clarissa likes to push a green or dried hop into the dent, you may have to make it larger to do this. I’d serve sliced in half and spread with homemade jam! 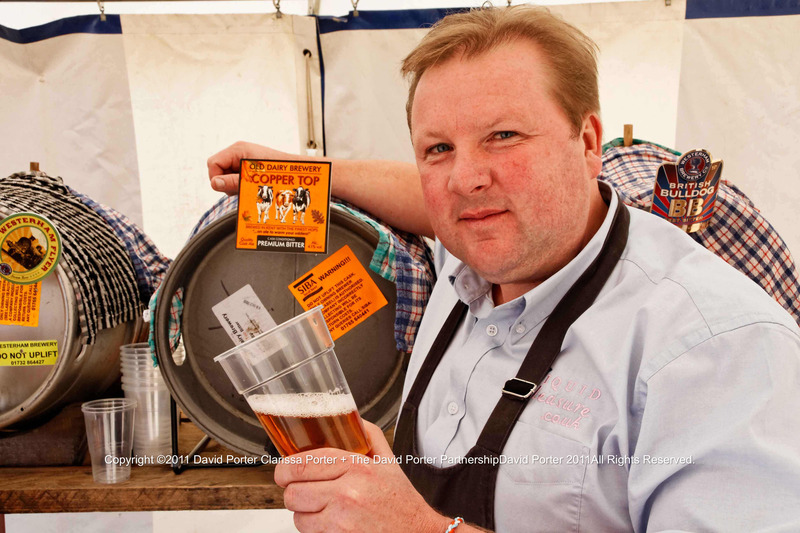 This entry was posted on Sunday, October 2nd, 2011 at 11:03	and tagged with beer, brewing, Deptford, England, farming, hops, Huffkin, hunting, Kent, ploughing, recipe and posted in England, Kentish huffkin, Recipe. You can follow any responses to this entry through the RSS 2.0 feed.